I think that Sir Martin Sorrell is very smart when it comes to media. Those in the advertising business know his name (but many outside of that industry do not). Sorrell was the man behind WPP. He built that business and – along with it – built a lot of the business models that we take for granted (and some of the business models that many think don’t work or are antiquated these days). Full disclosure: WPP acquired my business (then Twist Image) a little less than five years ago. Now the business is called Mirum (it rolls on), but I am no longer there… nor am I am employee of WPP. With that, I would still say these things, regardless, because I believe them to be true. Martin is also no longer with WPP. He has quickly moved on to create S4 Capital (what would you be doing if you had that kind of success at the age of 73?). That’s the company that most recently bought two marketing darlings: MediaMonks (creative digital production) and MightyHive (programmatic). This was an important signal to the entire marketing industry (one that is, sadly, very quick to write him off). Martin is no spring chicken, but he was quick to spring into action by acquiring these two companies for close to a billion dollars last year (word is that another acquisition may be just around the corner). Brands are taking more and more agency activities in house. From leadership and strategy to certain levels of execution. Production has, traditionally, been a low-margin pass-through for the agencies. Over the years, production companies have become better at not only producing work, but in creative direction and project management as well. They’ve done this to both stay competitive and to grow their service offerings. If the brand’s can handle what the production companies lack (and vice versa), there is a good marriage there. Plus, these types of businesses are not the ones that the big accounting firms are chasing as they enter the marketing services space to disrupt the agency models (see Accenture, Deloitte, etc…). Sorrell recognized this (probably long before he was let go from WPP). When production can be done well, the margins increase as does the demand. It’s the perfect timing for brands (who are bringing their agency services in-house) to find better and stronger production partners. All media will be programmatic. That’s dramatic and it’s (currently) problematic, but the technology will solve for itself shortly. We’re seeing it. The money is there. The investment is there. The desire is there. Better programmatic media brings the scale, size and pricing models that brands need in this very strange media landscape. The digitization of media buying and planning is what Kevin Kelly would call an “inevtiable,” that may be here sooner than most anticipate. Digital production and programmatic are the deadly duo. Both programmatic mixed with strong production and coupled with a brand’s own in-house marketing team creates a very big opportunity for the brand to regain access and control of the first-party data. This is the battle that is going on today. This is the reason that direct-to-consumer brands are having their moment in the sun, it’s the reason Facebook is in trouble, it’s the reason Google and Amazon are so wildly successful (and, often, in trouble as well). This is what brands want. This is what brands need. DLD (Digital Life Design) is an incredible conference that takes place around this time of the year in Munich. Thankfully, they put most of their presentations online (thank you, YouTube!). 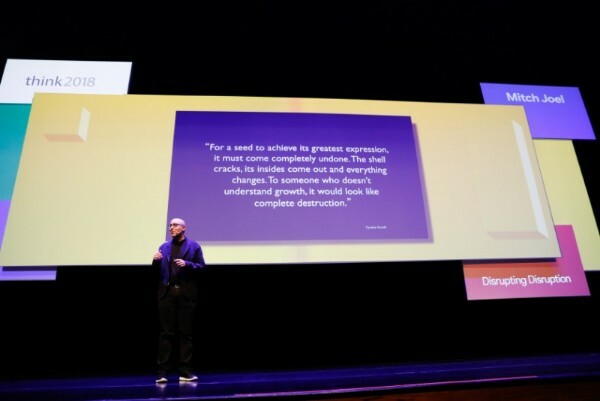 Sir Martin Sorrel teamed up with the always brilliant researcher, analyst, writer, speaker and big media thinker, Scott Galloway to discuss the state of media. It’s well worth the thirty minutes to watch this conversation, and see how both of their brains work, think and react to a world where Facebook and Google dominate, Amazon is nipping at their heels, Martin’s “7 sisters” theory, and why they have dire thoughts for platforms like Twitter, Vice, Snap, Vox and many more. If that wasn’t enough, you may also want to watch Facebook’s Sheryl Sandberg present on the topic, What Kind of Internet Do We Want?